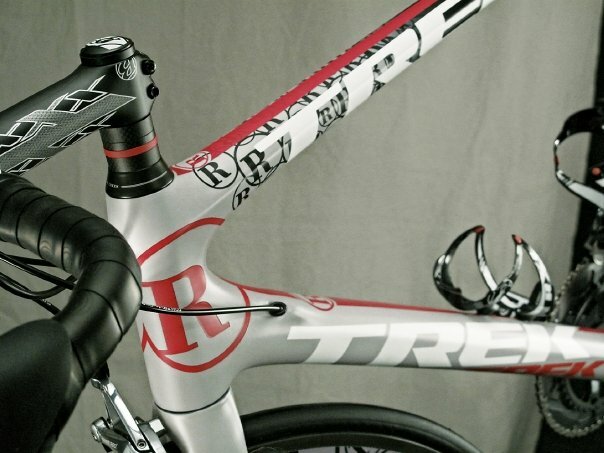 Lots of buzz going on surrounding Radioshack’s kit’s and gear being unveiled, and from what I’ve seen, the swarming masses are lukewarm about the jerseys, but everybody seems pretty stoked about the bikes. The bike looks hot, there’s no denying that, and at first glance I thought it might be a little overdone, but I think that there’s a really nice balance of micro vs. macro detailing. 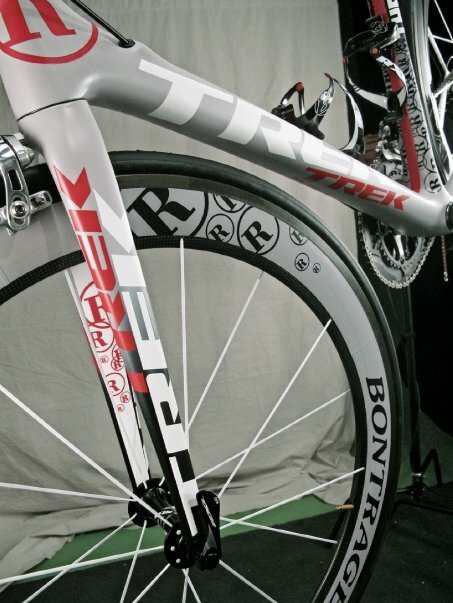 From afar, you get some pretty cool colors that are going to stand out in the peloton, along with some unique paint approaches – namely the gradient from grey to black and the ride piping on the top tube and interior triangle. But as you get closer you’re immersed in all the little nuances. You realize that as the gradient fades the grey is populated with little “Shack” logos. 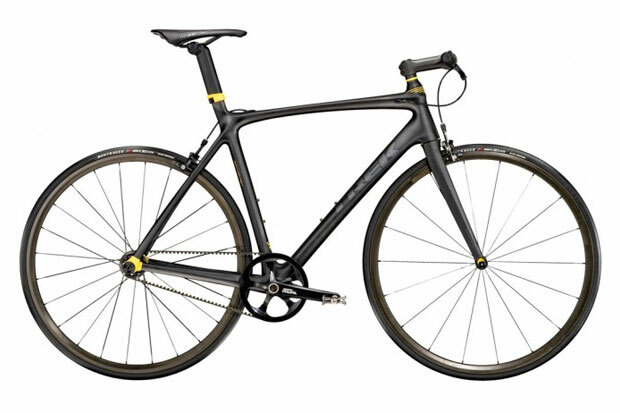 You notice the classy nod to Livestrong on the right seatstay. The red spacer in the headset. The list goes on. Definitely something to soak in. The one thing I’m uncertain of is what’s going on with the actual kit. When I look at the bike and the jersey, they don’t feel completely in sync to me. 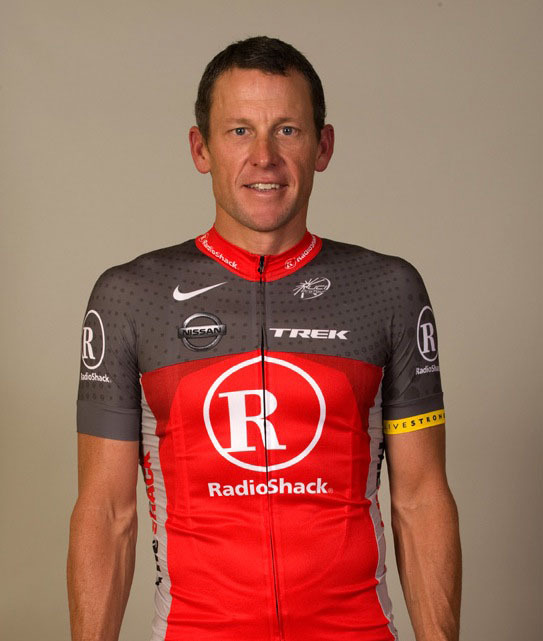 I’ll be interested to see how the revisions (if any) to the jersey will help it sync up man and machine. 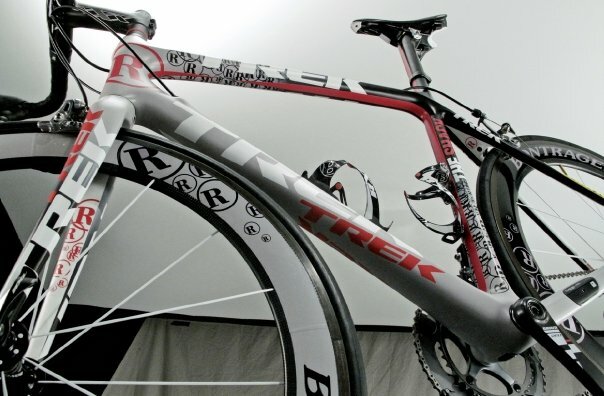 More shots can be seen on Trek’s Facebook page. I think they look fantastic. Looking forward to seeing how they perform for the team. 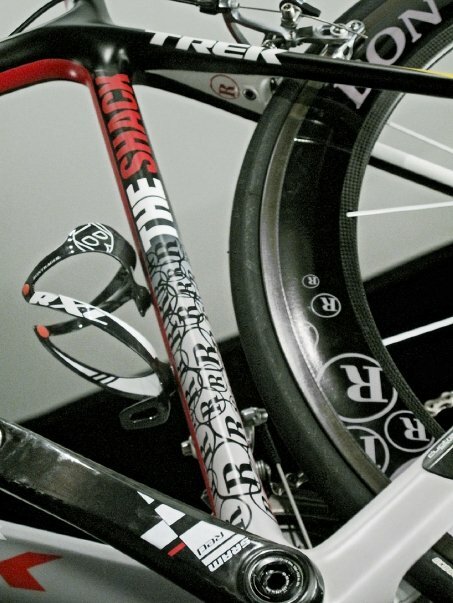 Hmmm, looks like someone threw-up a bunch of logos and letters all over the bike. 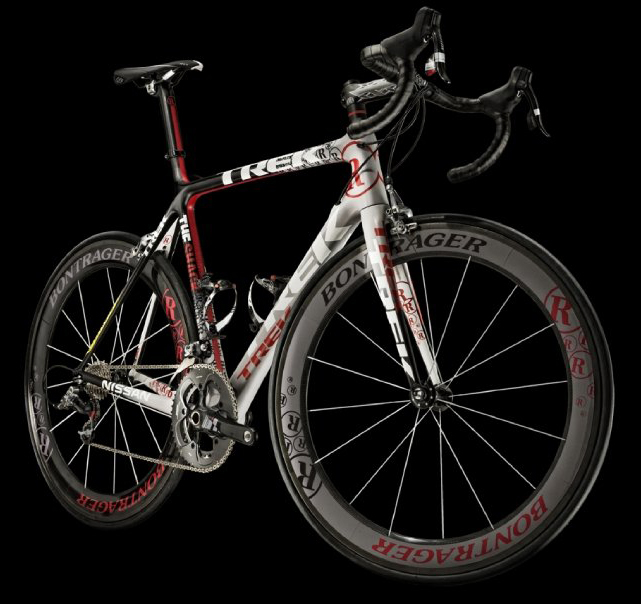 Too much Vegas Strip and not enough Bond Street for me, but it certainly will stand out in the peloton. Yeah, I think up close it may be a little bit of logo-strip, but if bling is what they were going for, they got ‘er. To be honest, I think it would have been really hot to go totally stealth with all the stuff and just have lots of solid colors… For example, matte black bikes with red highlights, then full red body suits with white/black trim or something… Sounds ridiculous, but in my mind it is all kinds of hot. 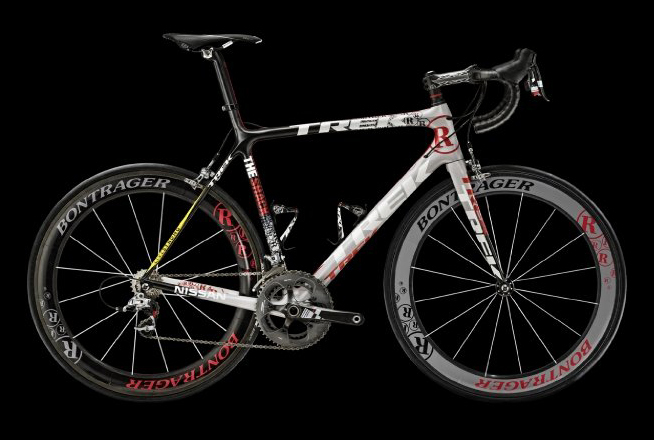 Just imagine a bike like this (with red highlights) and a similarly styled kit. I’m well up for that. Not ridiculous at all. I’ve always loved a matte black finish. So stealth! 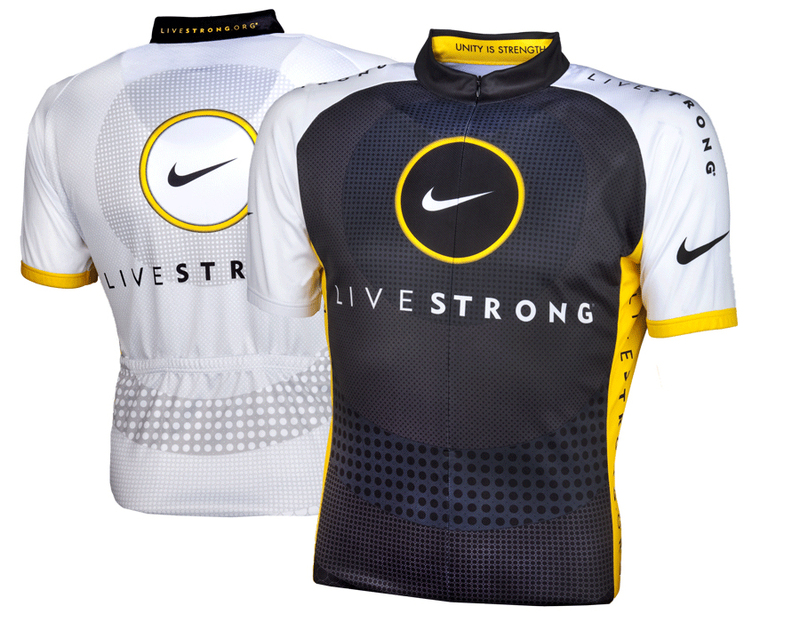 The new Livestrong jerseys were unveiled too, imagining them on the bike above is closer to what I had in mind for the Radioshack kits.